‘From5To4’ is a fun and simple game for people to play, combat traffic congestion and contribute to a sustainable United States. Whilst playing as part of a team, employees can compete with other teams to see how many sustainable trips are made each week. In return, the website gives employees bespoke information about how much energy they have saved, calories burned as well as the opportunity to win prizes. It’s a simple formula: for every five workdays, one day smarter commuting. The Hinder Winner connects traffic managers, engineers, construction contractors, road authorities, concerned citizens, travelers and customers. Irritation coming from unexpected delays and unreliable travel times creates frustration among travellers and residents, and lost revenue for the local businesses. In too many instances it leads to aggression towards road workers. In addition, it can lead to reputational damage of contractors and their consulting engineers. 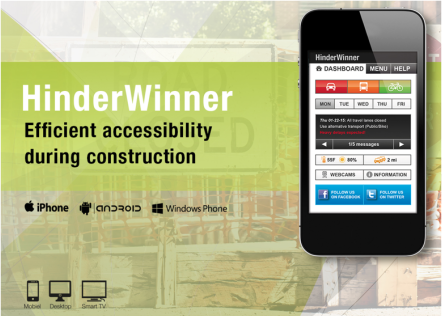 We support road authorities in mitigating the construction project’s inconvenience with the Hinder Winner app. It connects citizens, businesses and institutions with the professionals of the construction project. It gives forecasts of the expected delays per mode of transport combined with the current real time traffic situation. It informs people 24/7 on every device. TripZoom records all trips, gives feedback to the users and gathers data with the aim of increasing bike usage by improving knowledge on cycling and cyclists. Detailed unique cycling data - detailed insight into cycling, modal split, speed, pattern and frequency of bicycle rides. With this data you can improve the design of your bicycle policy and monitor bicycle promotion projects effectively. 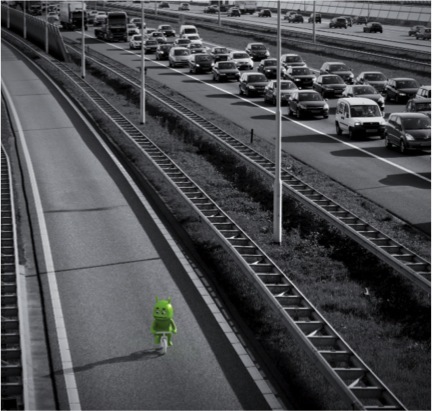 Modality detection - TripZoom distinguishes car, public transport, cycling and walking. Feedback to the user - The data is being collected in the app on the user's phone giving him/her direct insight into performance, progress and rewards. 24/7 automatic tracking - The TripZoom app records all movements automatically, 24 hours a day: Reliable data combined without draining the battery. 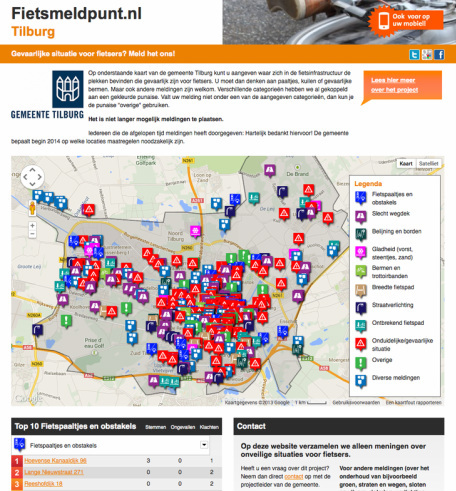 Does your city, municipality or ward wants pro-active engagement with the biking and walking community? Do you need a boost in promoting the Active Transportation infrastructure and usage in your neighborhoods? The mobile Bicycle and Pedestrian Hot Line is the smart and easy way to identify the less convenient infrastructure for bicyclists and pedestrians; bring community based priority setting into practice and keep community outreach transparent. You show that you take the input of citizens seriously. The Intelligent Transportation Systems (ITS) Industry is at the beginning of a big transition. It will impact current companies in one way or the other and to stay successful a clear and executable vision is essential. 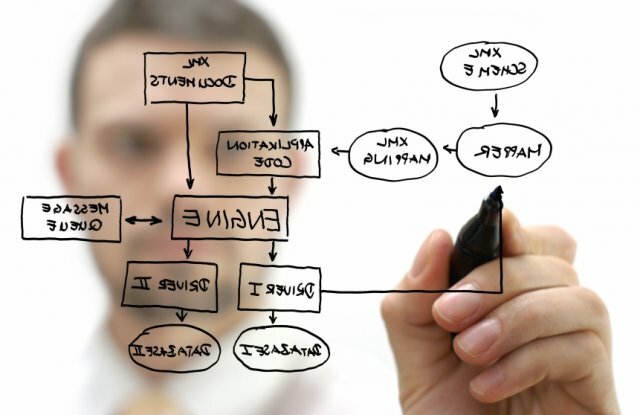 MOTIONPioneer provides the insights and the experience of developing a vision and execution strategy with you. So you will be able to enhance your successful team and portfolio to deliver at higher speed in a quickly changing ITS Market. Do you recognize the following symptoms? MOTIONPioneer delivers out of the box insights and develops together with you a strategy going forward with the aim of being a sustainable ITS Company.